If you were hoping Konami were going to take the opportunity to add in the missing final chapter to Metal Gear Solid V in time for the Definitive Edition’s release, you’re about to be disappointed. Complete or not, Metal Gear Solid V is still one of the best sandbox games ever made. 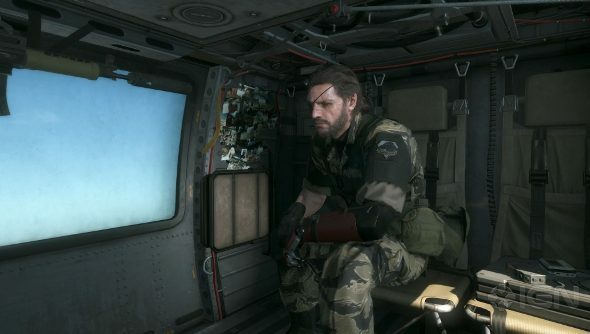 If you played The Phantom Pain to the end, you’ll know that it feels like there’s something missing. Threads are left dangling, and characters are forgotten. That’s becauseMission 51 was cut, and it only exists now as a collection of storyboards and half-finished cutscenes that popped up in the Collector’s Edition. Many fans were hoping this mission would be developed and added to the game for the October 11 release of the Definitive Edition, but unfortunately that’s not the case, as Konami have been pointing out on Twitter. @NTPrime I'm afraid we have no current plans to further develop for Mission 51. Metal Gear Solid V: The Definitive Experience comes with Metal Gear Solid V: Ground Zeroes with all its DLC, Metal Gear Solid V: The Phantom Pain with all its DLC, and Metal Gear Online with all its DLC. The next Metal Gear game to be released following that is Kojima-less zombie spinoff, Metal Gear Survive.